I received a new bundle of fabric from Blend Fabrics…..called “The Best Day Ever”. It’s perfect for me…as Halloween is my favorite time of year! But oh what to make? 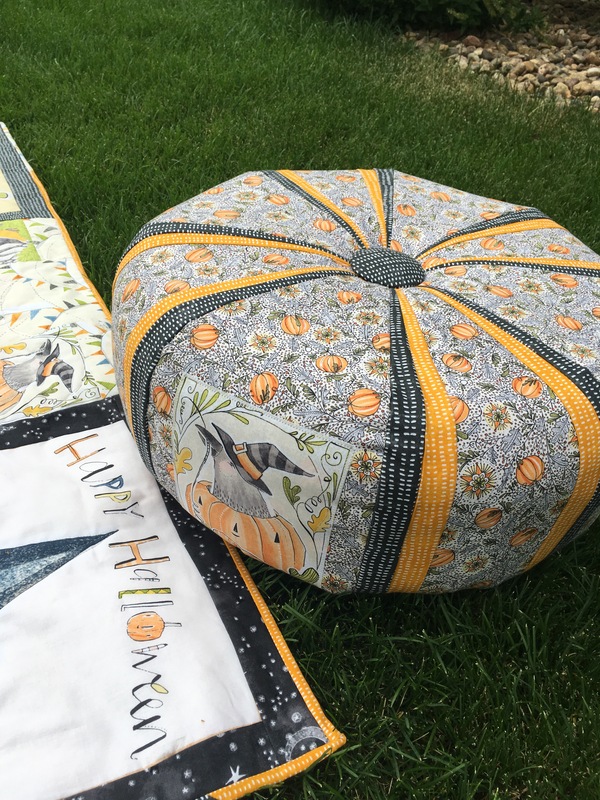 Cori Dantini, the artist who brought this beautiful fabric line to life has such a way with her characters. They’re sweet & whimsical with a Tim Burton twist….so it always takes me awhile to plan and ponder what I’ll cut them up for! 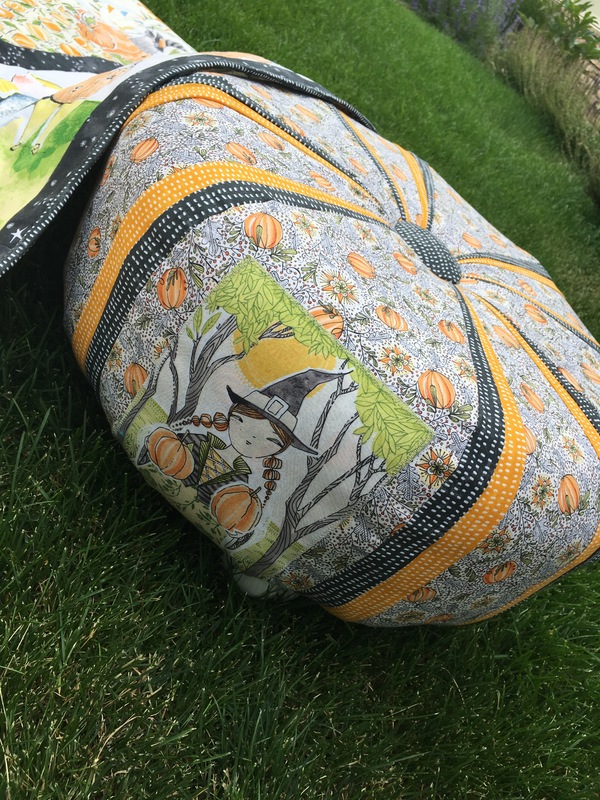 The first project was a Tuffet using a fabric foundation template from TuffetSource. 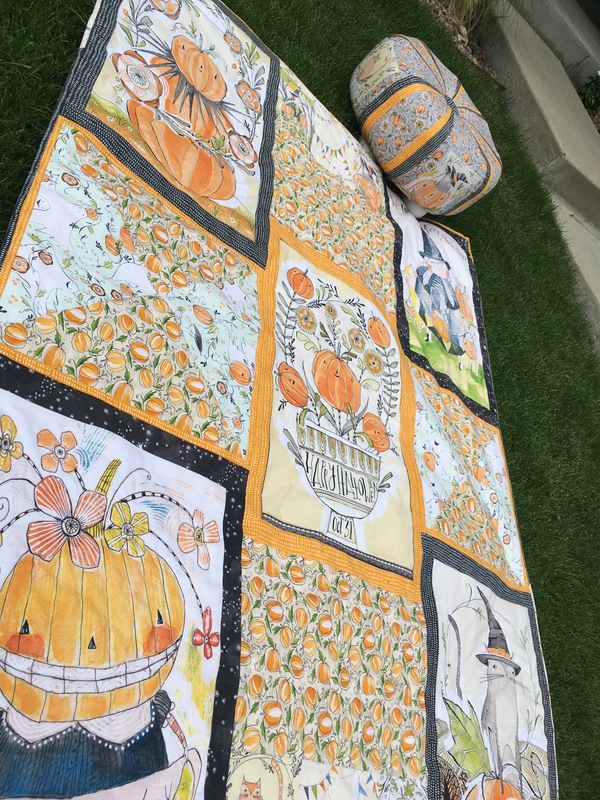 The second was a quilt of my own design using five panels (two from Cori’s previous Halloweenline called Spookytown. These two collections go together seamlessly! 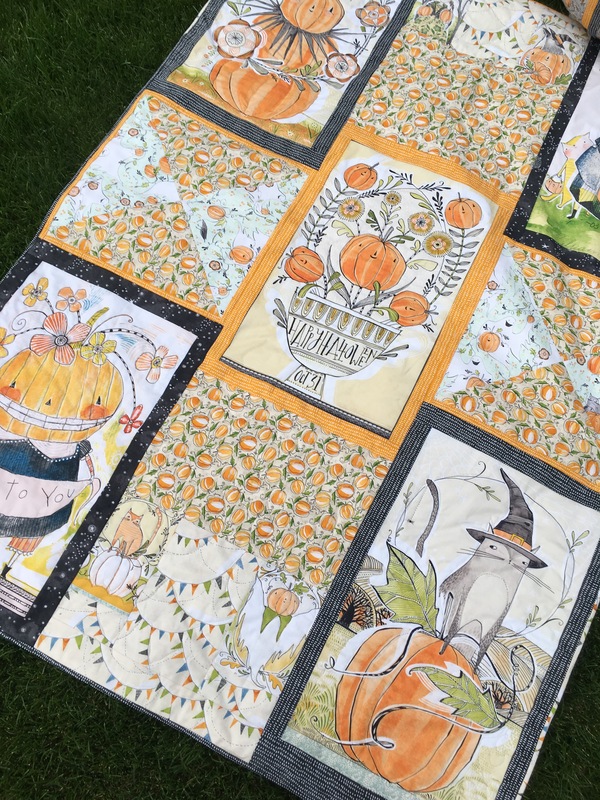 Each panel has a 2″ border and then I made separate blocks in the effort to showcase the intricate drawings Cori always creates in all her designs. 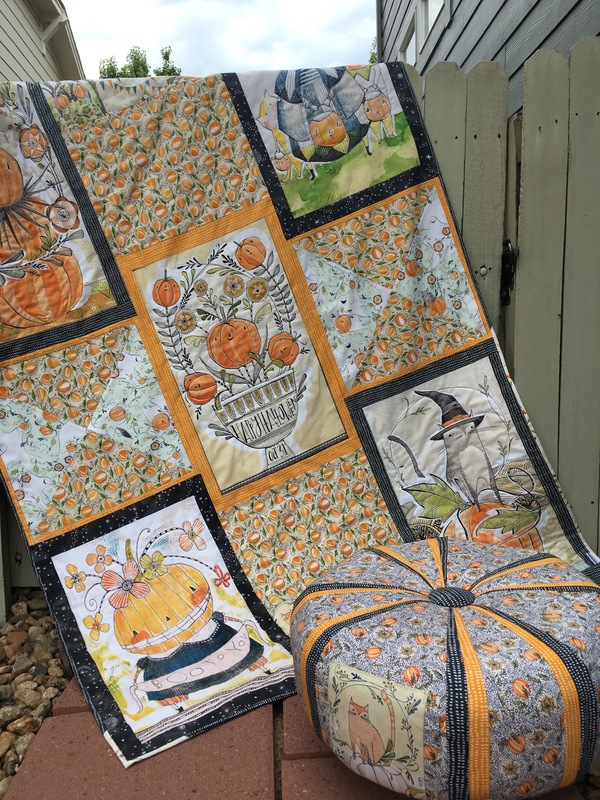 There were 3 panels in this new line and 3 in her last Halloween line…so combining them was easy…the back of my quilt shows off the last panel not shown from Spookytown. It’s also fun to Machine quilt the panels making them pop just a bit and giving them center stage…where they always belong! From ghosts to pumpkins, witches and crows….cats and bunting flags…it’s a Halloween party waiting to happen! Perfectly beautiful Charlie! 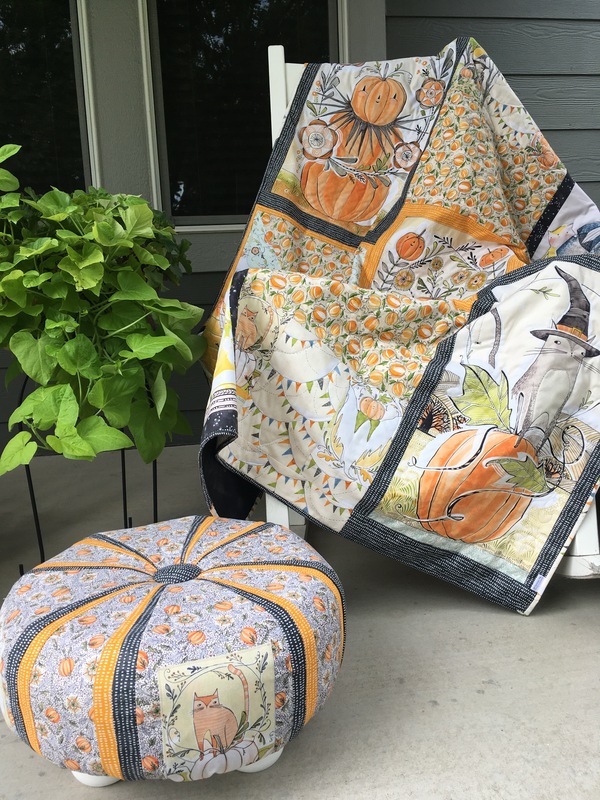 Love them both and the fabric is so whimsical and adorable.